E Cig Mods become the ultimate choice of advanced vapers, for the most part, personalize their vaping experience. Ecig mods makes your vaping experience more interesting and changes the taste of your e-liquid. At Vapingzone.com, we have vape mods for sale; we also carry many different Li-Ion (Lithium Ion) batteries, Li-Ion chargers, and many mechanical ecig mods, RBA & RDA. You can completely customize your vaping with our assorted ecig mods. Vaping Zone stocks a wide variety of E Cig Mods to accommodate vapers that prefer a more personalized vaping experience. We carry vape mods for sale in many different sizes and form factors including tube style mods and box style ecig mods. 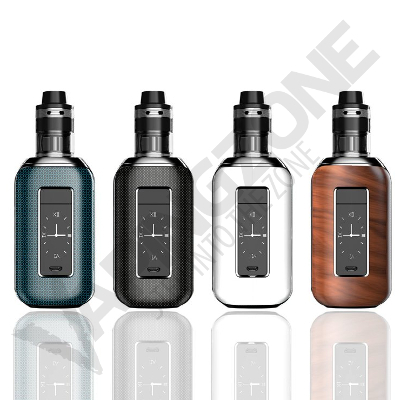 Variable wattage mods and temperature controlled (TC) mods are both available to choose from so you can select the unit that has the features and options that will be useful for you and your e-cigarette vaping preferences. Some of our ecig mods are equipped with a self-contained internal e cig battery unit that can be charged via USB charging cable. We also have units that require external replaceable lithium ion e cig batteries and an external e-cig charger. The ability to bundle the unit, batteries and charger are available under the drop-down options menu on the product pages. 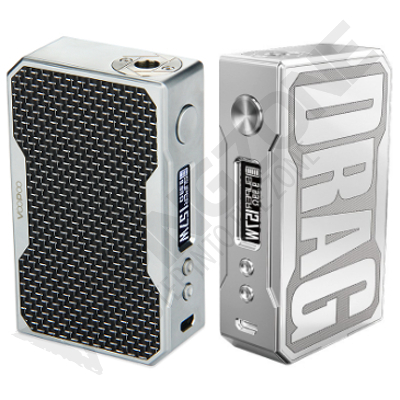 Several of our e cig mods are also boxed as a vaping kit that includes the vaporizer and a matched clearomizer tank. Sub Ohm Vape Mods are also available for sale for users that demand a stronger hit or increased vapor production. We also offer a large selection of sub ohm clearomizer tanks that can be used or interchanged with the vape mods that accommodate sub ohm attachments. NOTE: Before ordering any of our e cig mods, be sure to check the minimum and maximum ohm requirements that the unit can handle, as well as whether the ecig mod you are purchasing can work with a temperature controlled tank to ensure compatibility between the unit and the desired clearomizer that you intend on using for the unit.